New government data shows continued growth in Spain’s economy, which might help renew confidence in the property market. 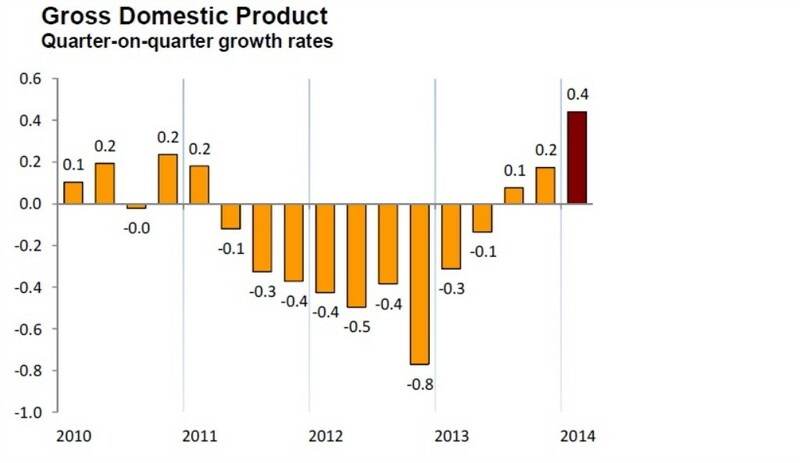 Spain’s gross domestic product grew 0.4 percent in the first quarter of 2014, the fastest quarterly increase in six years, the National Statistics Institute reported. The rate was double the increase in the final three months of 2013, suggesting a real trend may be underway. The year-on-year increase of 0.6 per cent has the largest jump in three years. Based on the data, the government increased its growth forecast to 1.2, up from 0.7 percent, and predicted the economic growth will accelerate to 1.8 per cent in 2015. While government optimism is rarely cause for investor confidence, the latest economic data fits into the stream of positive economic indicators. Last week the Fitch Ratings service upgraded Spain’s debt, noting “risks to Spain’s creditworthiness have decreased” since the agency downgraded the country’s debt to BBB in June 2012. “Financing conditions have improved, the economic outlook is more certain, and the risk of Spanish banks posing an additional burden on the sovereign has diminished,” Fitch reported. “Fitch maintains its view that house prices will see a further gradual decline until 2015, when they are expected to bottom out at 40 per cent below peak values,” the agency forecast last week. The state of the Spain economy will be key to any real recovery in Spain’s property market, which is still disproportionally driven by foreign buyers. A recent report by Amat, the Barcelona consultancy, reported almost 50 per cent of sales in its Barcelona offices in 2013 were to foreign buyers. The return of the domestic market will indicate real stability in Spain’s property. It will also grow investor confidence, which is only slowly starting to rebound. But the latest government data suggests an upward trend, which might finally start to chip away at the country’s extraordinary unemployment rate, estimated at more than 25 per cent. At the same time, the financial sectors appears to be stabilising, while the banks continue to shed bad debt and shore up their books in the face of upcoming EU stress tests. That may lead to more residential lending, a missing link in the market. “A lack of liquidity on the housing market and a further decline in prices in 4Q13 (-1.3 per cent quarter-on-quarter) mean recoveries remain low across most deals,” Fitch reports. Anyone care to bet me their house that this figure is real? Apart from it being fiddled, surely it’s inside margin of statistical error? Haha. I wouldn’t argue with that Chris.